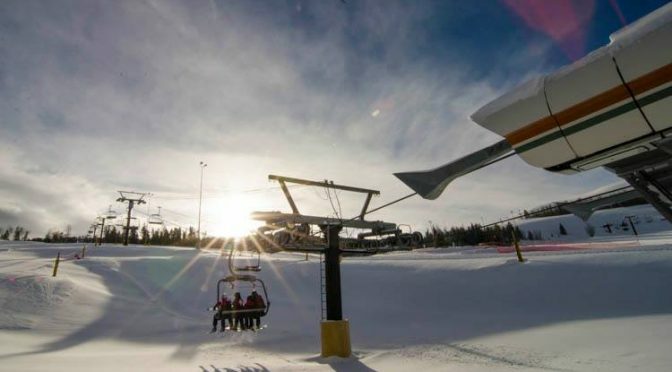 Granby, CO – A Texas woman is dead and her two daughters injured following a 25-foot fall from a Colorado chairlift on Thursday. 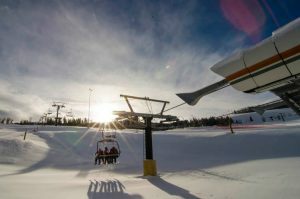 Kelly Huber, 40, of San Antonio was riding the base-to-summit Quick Draw Express quad chairlift at Ski Granby Ranch at around 9:30 a.m. on Dec. 29 when all three slipped out of the lift chair and plummeted to the ground. Her daughters, ages 9 and 12, were transported to area medical facilities for treatment. Huber was pronounced dead at 10:45 a.m. that morning at Middle Park Medical Center in Granby. Witnesses have indicated that the trio did not have the safety bar lowered at the time of the incident. The lift has remained closed since last week’s incident as the investigation continues. Huber, an employee of Aetna Insurance in San Antonio, died of a ruptured aorta, the medical examiner’s report indicates.